“What if the other kids don’t like me?” my daughter asks me. She’s nervous about entering a new school after a recent move. But she hangs her head and doesn’t look convinced. My daughter has ADHD, a condition that commonly leads to anxiety and low self-esteem, especially in girls. My daughter is a superkid, and she should feel as amazing as she really is. But her ADHD makes it a little harder for her to connect with other kids, especially as she nears middle school. At my daughter’s age, it becomes harder to provide accommodations in the classroom that are age-appropriate. I want her to have what she requires to succeed in school, but I also don’t want her to stand out in a way that makes her a target for other kids. 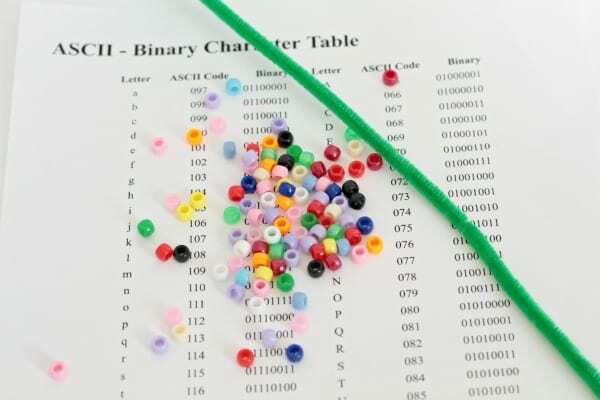 This activity is one of our favorite STEM activities and technology activities for kids! 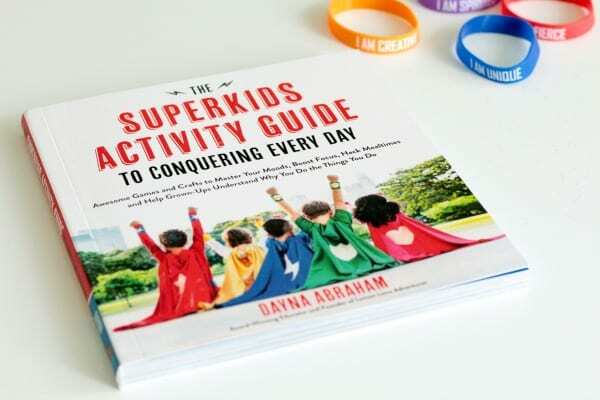 We recently were given a copy of The Superkids Activity Guide to Conquering Every Day, which includes activities and strategies written to a child with ADHD or other differences. These activities can be used by the child to help navigate the troublesome waters of growing up and learning as an exceptional child. Along with our book, came some armbands with positive words of affirmation for kids. The book tells kids that differences make us special and amazing, not something to be ashamed of. These designs are also available as shirts. I loved the idea of having my daughter wear positive words of encouragement on her first day in a new school. But I didn’t want it to be so obvious that she was wearing words of affirmation on her wrists. 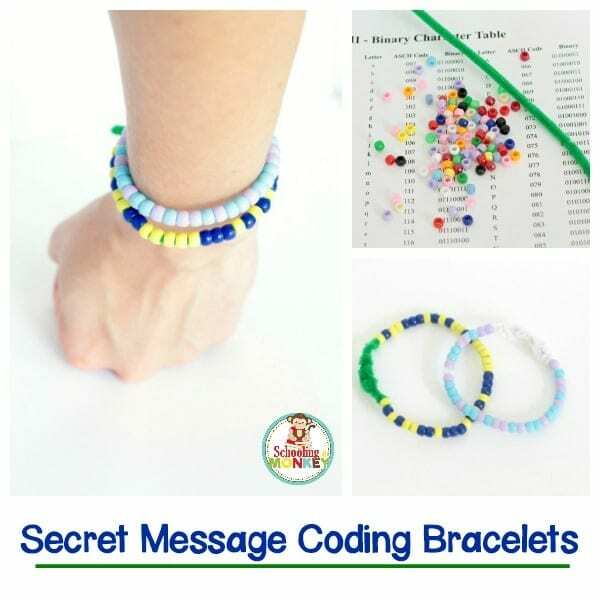 So, I decided to make secret message bracelets inspired by The Superkids Activity Guide telling her how awesome she is. 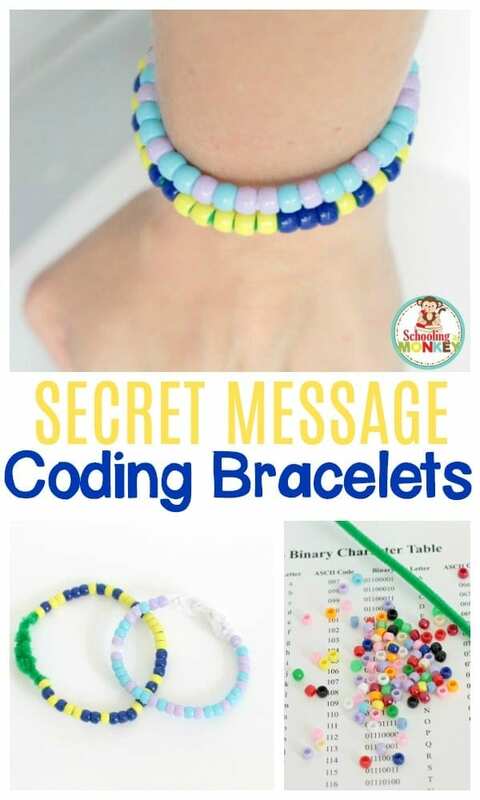 Money loves programming and science, so we decided to make binary secret message coding bracelets with words of affirmation to boost her confidence on the first day of school. Our bracelets said “Kind” and “Superkid,” but you can choose any word you want to celebrate the amazingness of your kids. This activity would also make an amazing first-day-of-school activity to help children start the year on the right foot. Special note: Depending on the size of your beads, you might want to use shorter words rather than longer ones. Our beads were medium-sized, and Superkid was all most too big for my daughter’s wrist once it was in binary. Decide what colors you want to use. 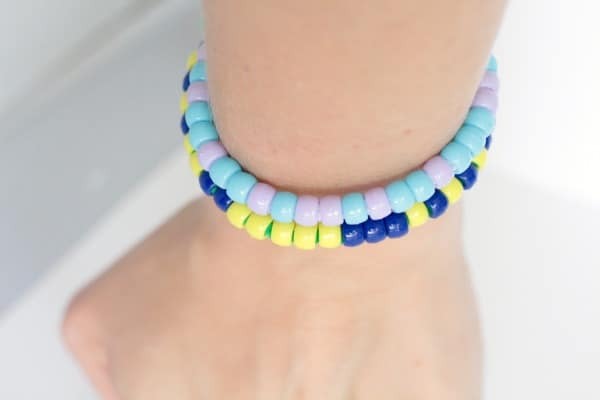 Each bracelet will only use two colors, but you can use a third color for the elastic. We used pipe cleaners as our arm bands, but if you want bracelets that the child can wear over and over, use elastic string so it is easy to take on and off. 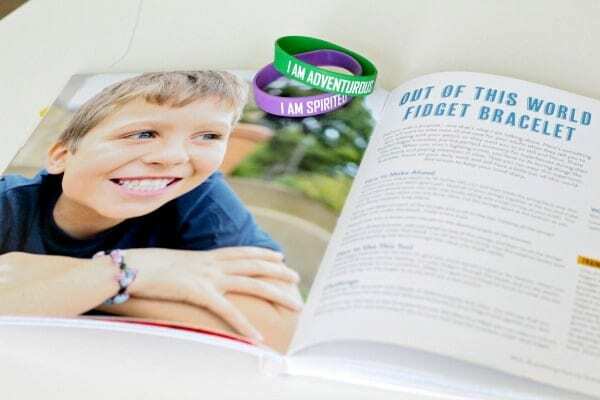 If your child doesn’t want to wear a bracelet, these can also be made into keychains or backpack pulls. Follow the binary pattern to make your words. Tie the ends of the string together, and wear with pride! It’s a little thing, but my daughter’s confidence was boosted as she wore here secret words of affirmation coding bracelets. Get the Superkids book here!